It's peach season! My local Whole Foods and farmers' markets are bursting with fresh peaches. While fresh, sliced peaches are a delicious treat, who doesn't love a homemade peach cobbler? 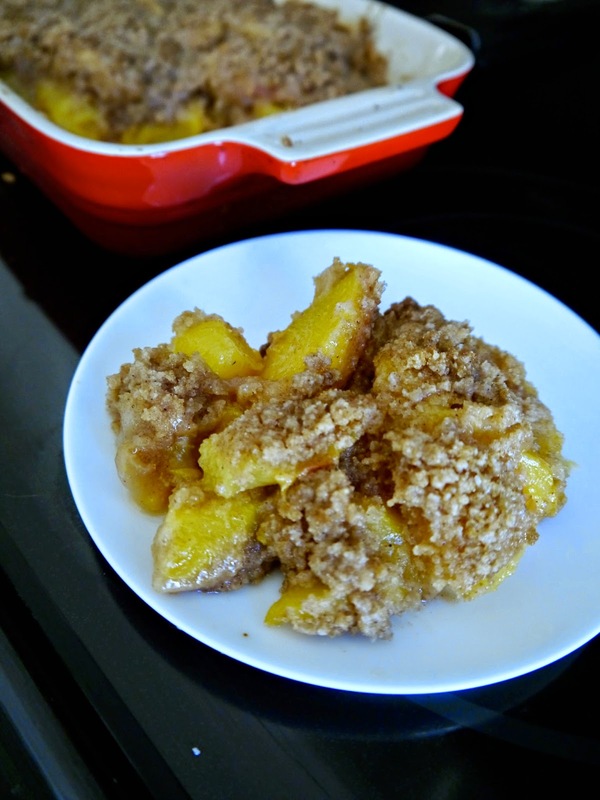 Even better - an easy peach cobbler! This allergy-free version requires very few ingredients or work and can be whipped up for your family or guests in no time.